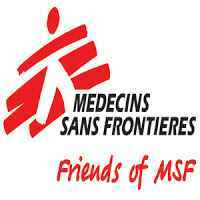 Médecins Sans Frontières (MSF) is an international, independent, medical humanitarian organisation that delivers emergency aid to people affected by armed conflict, epidemics, natural disasters and exclusion from healthcare. MSF offers assistance to people based on need, irrespective of race, religion, gender or political affiliation. MSF is therefore guided by the principles of neutrality and impartiality. These principles must apply to all MSF staff. Provide support to the Project Coordinator in the administrative part of coordination tasks, ensuring a smooth relation with local and national authorities, contributing to the context analysis and follow-up, providing translations and interpreting in order to ensure the smooth running of the project. Minimum Educational Qualification: University degree. Experience: Minimum of 2 years working experience in similar jobs in the field of humanitarian aid with MSF or other NGOs. Experience in security management is a plus. Monitor and report on key issues (security, risk, etc.) to the Project Coordinator and provide support in analysing contextual information, through a sound knowledge of counterparts, in different administrations in order to improve decision making processes. File and update field contacts and correspondence (with other NGOs, UN agencies, local authorities, media, etc) in order to ensure information sources accuracy and its availability on regular basis. Assist the Project Coordinator in Internal and External Communication sessions and events about MSF (for National staff, the Ministry of Health staff, as well as local authorities) in order to improve awareness and public opinion adhesion. Ensures the continuity of relations with local actors and keeps updated the list of contacts. Organize advocacy contacts and appointments for the Project Coordinator with local authorities and partners to ensure the continuity of relations with local actors and involved counterparts. Prepare and conduct briefings on the project context to new employees in order to facilitate their integration onboard and within the project environment. MSF is seeking for a Field Coordinator Assistant to provide support to the Project Coordinator in the administrative part of coordination tasks, ensuring a smooth relation with local and national authorities, contributing to the context analysis and follow-up, providing translations and interpreting in order to ensure the smooth running of the project.